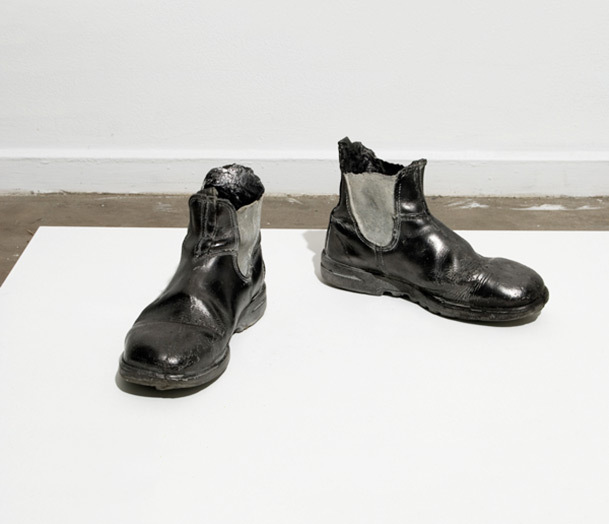 Sunday Best is part of a series that explores the use of boots as a metaphor for a state of mind. Much of my work is inspired by a self-reflective critique of the position of the artist. These boots represent my double life of working in the studio and scrubbing up, to work in the job that pays the rent.